Earning points and miles the traditional method (actually flying or staying in hotels) is just one way to boost your account balance. Fortunately, travel providers make it relatively easy to accrue points and miles without traveling, whether through top credit card offers or by utilizing shopping portals. You can also purchase miles directly, and on the heels of United’s new promotion that offers you a bonus of up to 85% when you purchase miles, Hyatt has just announced a similar offer to purchase points. The Park Hyatt Tokyo is one fantastic redemption within reach using this promotion. Here’s how it works: From now through November 30, you’ll earn a flat bonus of 30% when you buy or gift Hyatt Gold Passport points. The bonus should automatically populate when you visit the program’s site for purchasing or giving points. The usual price for buying or gifting points is 2.4 cents apiece ($24 per 1,000 points), so with this promotion your price drops to ~1.85 cents per point. Enter your information, select how many points you want to buy/give and click Continue. Enter your credit card information and billing address and click Continue. Confirm the details, check the box to agree to the Terms and Conditions and click Continue. You must have a positive account balance and have been active in the program within the last 30 days. You can purchase points in increments of 1,000 points up to a maximum of 55,000 points per transaction/calendar year. The points will post within 48 hours but do not count toward earning Hyatt Gold Passport elite status. The Park Hyatt Maldives is a terrific use of Hyatt Gold Passport points. In TPG’s most recent valuations, he pegs Hyatt points at 1.8 cents apiece, so this actually brings your purchase price very close to this amount. If you max out the promotion, you’ll take home 71,500 points at a cost of $1,320. Through the promotion, you’re looking at two free nights at a top-tier Category 7 hotel (like the Park Hyatt Tokyo) for roughly $555 per night. As always, be sure to crunch the numbers to make sure that you’re getting more value out of the redemption than you’d spend purchasing the miles. For more information, be sure to check out Richard Kerr’s Award Traveler’s Guide to Hyatt Gold Passport. Remember too that there are many other ways to boost your Hyatt account balance (or earn free night certificates). For example, the Hyatt Credit Card currently offers you 2 free nights at any Hyatt property worldwide after you make $1,000 in purchases in the first three months after account opening. The program is also a transfer partner of Ultimate Rewards, allowing you to move points earned on cards like the Chase Sapphire Preferred Card directly to your Gold Passport account. 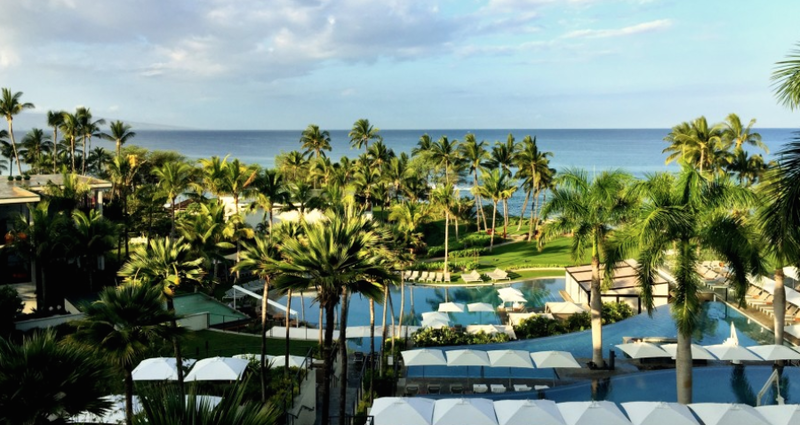 I love the Andaz brand and would love to visit the Maui location; this promotion would give you two nights there for less than $1,000. This promotion likely isn’t for everyone, but if you have a specific redemption in mind, it could make sense to take advantage of it. Hyatt has offered similar promotions in the past, though it’s nice that this one applies to both purchased and gifted points. I’ve gotten a lot of value out of the program (through redemptions like the Andaz Wall Street and upcoming stays at the Park Hyatt Zurich and Andaz London Liverpool Street), though since my account is quite full, I don’t think I’ll be purchasing points this time around. Will you be taking advantage of this new promotion?